Today on the bench: thrust test of Eachine E010 stock motor, Chaoli CL-615 and Chaoli CL-615 Upgraded motors. If you decide to swich to the more powerful motors, I would recommend to upgrade a battery to the 45C 150mAh one (https://goo.gl/ckvqmJ), as Chaoli upgraded motors draws more current (4×1.10A=4.40A) and weaker batteries have a lot of voltage sag. 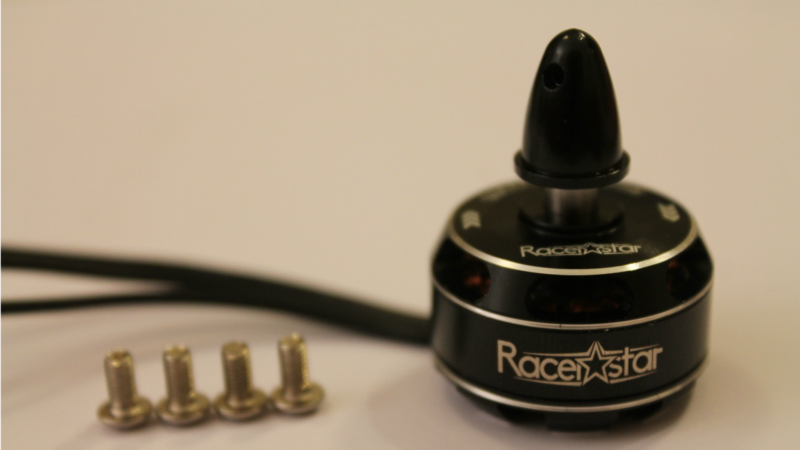 I have recently received a set of Racerstar RF2205 2300Kv motors from Banggood for a review. Motors came well packed in a carton box. 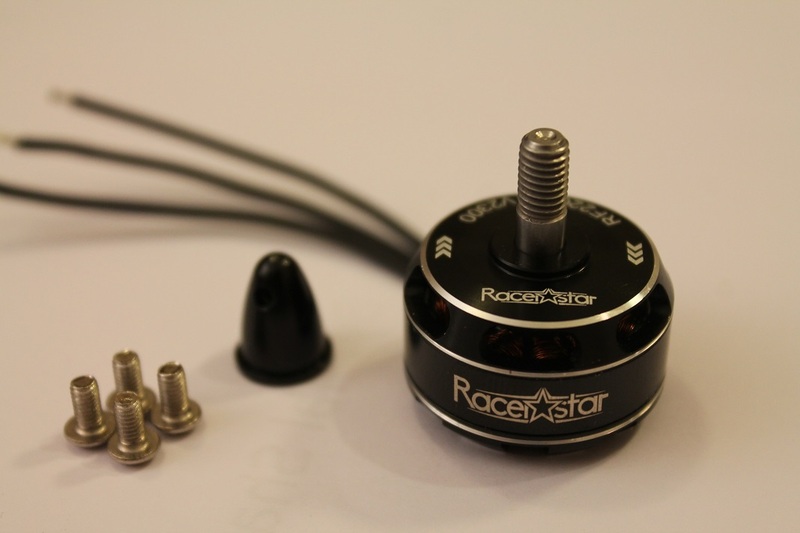 Package includes motors, bullet type prop nuts and 3mm steel screws. 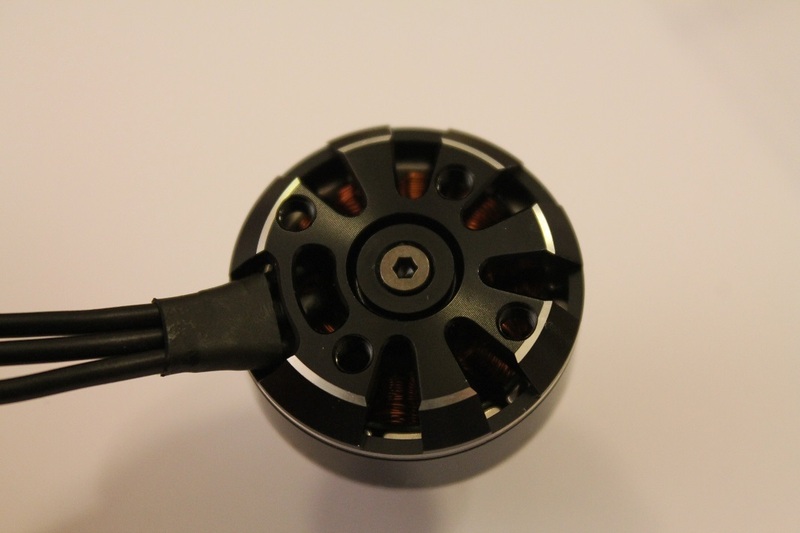 Motors are sold only in packs by 4 (2 CW + 2CCW). It would be great if Racerstar would offer an option to buy single motor. This will enable buying a spare one or a replacement for broken/bent/burnt motor. Personally I would suggest to sell only CW shaft thread version of these motors with a prop lock nuts. 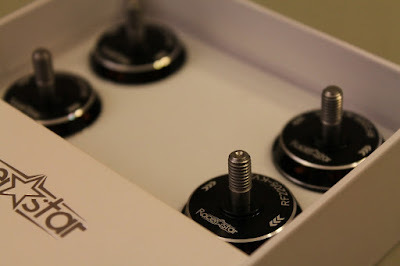 Lock nuts hold props hard enough on CW and CCW rotation motors there is no real need of different threads. Benefit of this is versatility of motor use – every motor can be either CW either CCW, no need to have 2 spares and in case of RF2205 - 4 spares. There are a lot of cut-outs for air intake on the lower part of the stator. Also notice that shaft is locked with 2mm hex screw instead of the C-clip. Dont tighten them too much, because plastic washer starts to rub against the bearing and introduces some drag to motor motion. Inside of the motor - the bell (rotor) is reinforced and well balanced. The windings are made of multi-stranded copper wire. Magnets are curved and N45SH strength grade. Build quality is high. Thrust results show high static thrust power, one of the highest in their class. My personal opinion - they can be compared with Emax RS2205. If your ProDVR is bricked after firmware update process, you can easily restore it by flashing firmware directly to the serial flash ship. 4. 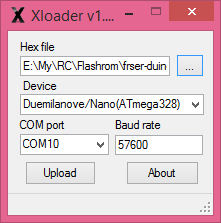 Start Xloader, open [fser-duino.hex] file, set the right com port and hit “Upload”. Now You have Flashrom compatible programmer. 5. 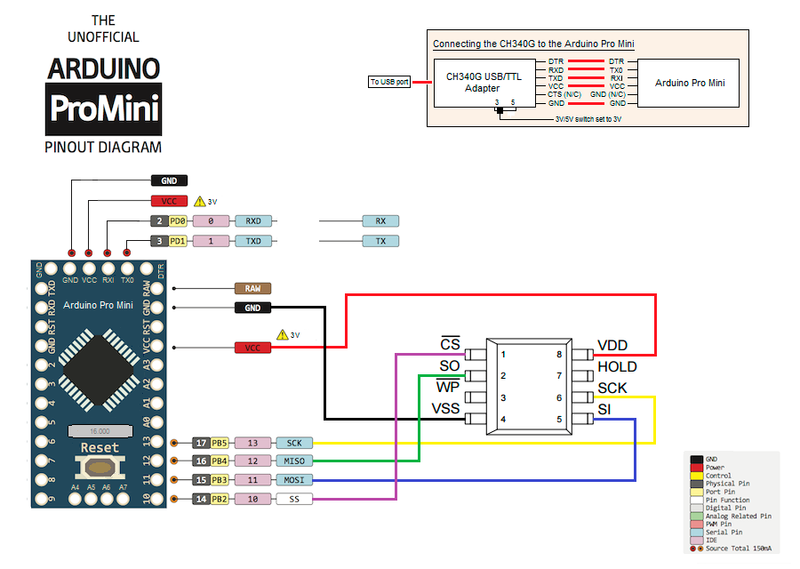 Connect ProDVR flash IC to the Arduino. Use supplied connection schematics. For this you need to lift a bit VCC pin of the serial flash to disconnect from the rest of the board electronics and solder 5 wires: VCC, GND, CS, CLK MOSI and MISO. Try to keep them as short as possible, about 10cm. Use small diameter wire. 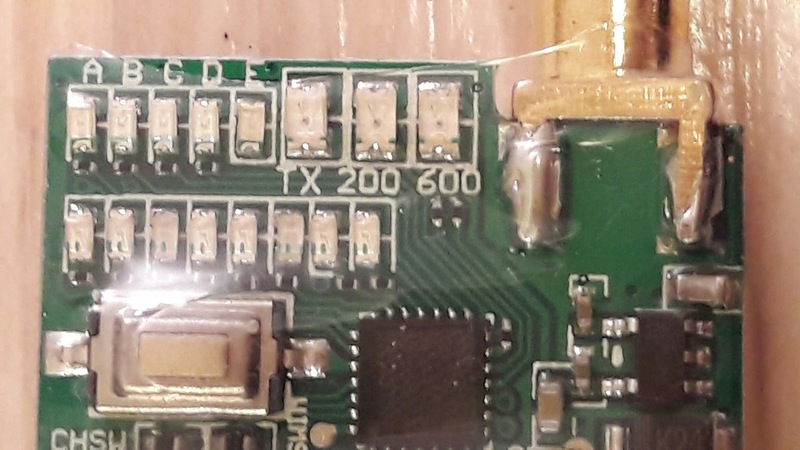 Found Macronix flash chip "MX25L1605" (2048 kB, SPI) on serprog. 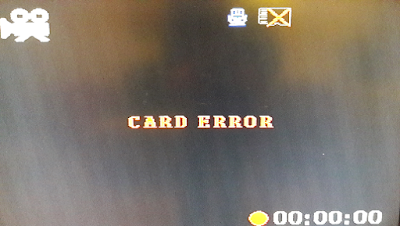 Insert SD card and you good to go! If you have questions or you need more details, then write a comment. Weight is 8.5 grams. This is slightly more than typical VTX weights and this is mainly because of the heat sink attached. Antenna connector is SMA type. 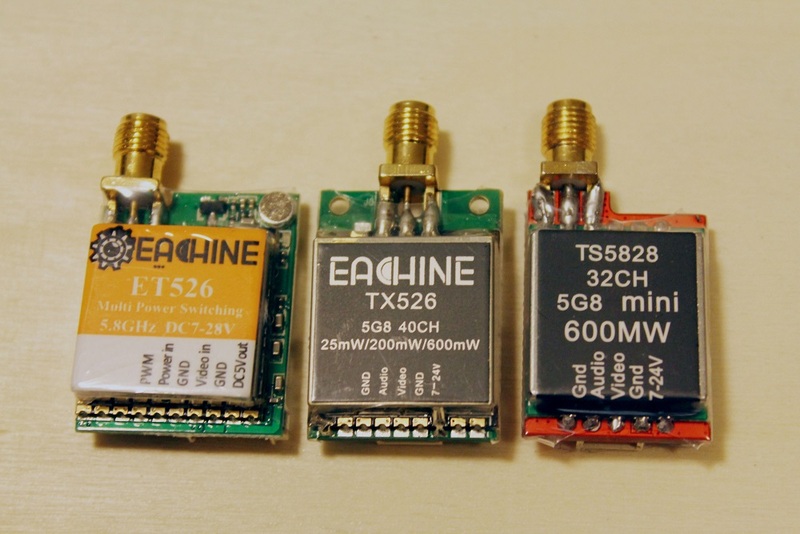 This is good for VAS/Fatshark users as their antennas have SMA connectors. Others can use SMA->RP-SMA type changing adapter (like this one: https://goo.gl/Cfbc9p). I have measured the output voltage for camera under load (Eachine CCD 100TVL). It turned to be 5.16V while transmitter is TX OFF and 5.19V when TX in ON. The same for all power levels. • Switchable transmitting power level – from ZERO to 25, 200, 600 mW. • Video transmitter can be turned OFF/ON. • Bands are somehow mixed up. You have to search for the right band on your RX, because letters doesn’t correspond to usual band labeling. 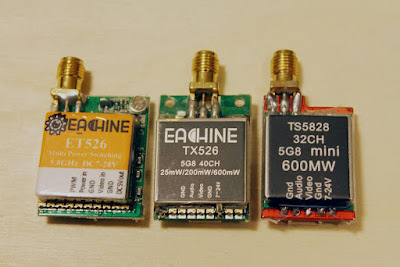 I have bench tested Eachine TX526 video transmitter, which I received from Banggood. 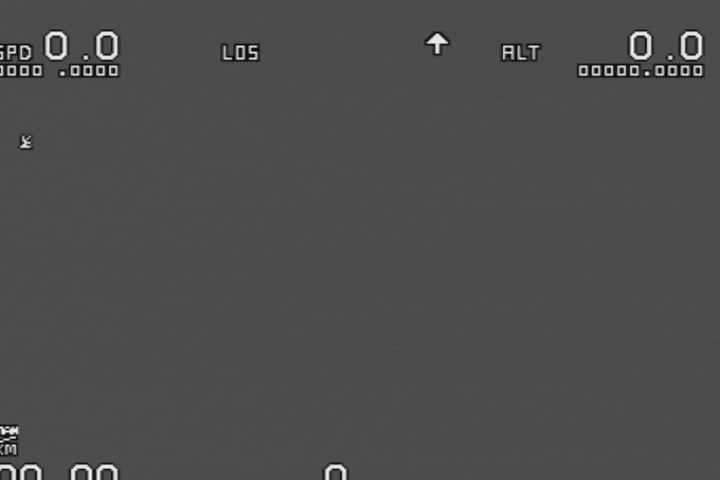 • Easy to setup – one button. • This VTX has interesting feature - turn transmitting power to 0mW. 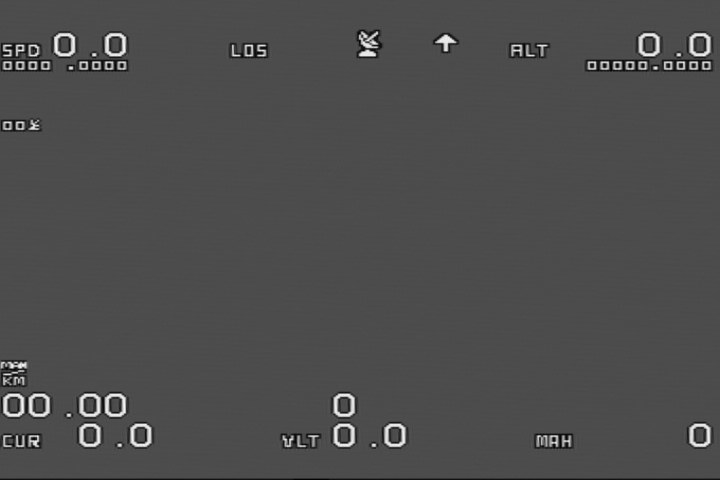 This setting can be usefull if you want to test/tune your quad in line of sight flight or while making some work on the bench. 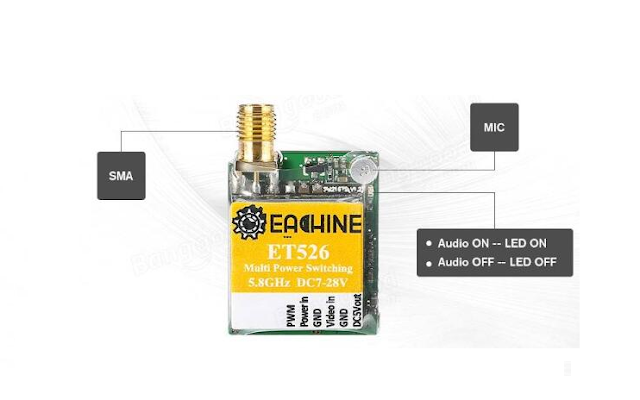 Also can be usefull for powering quad without VTX on racing events. 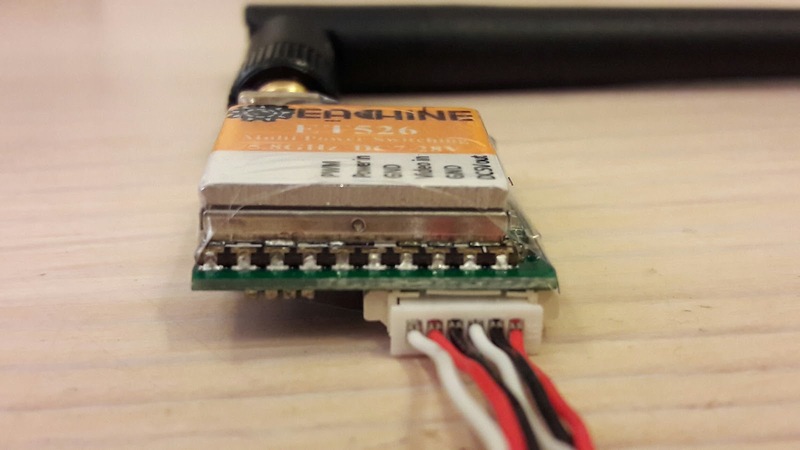 In the second part of the review I will test this VTX in the flight, make a test range, measure temperature and more.